The number of fatalities due to chikungunya complications has risen to 13 in the national capital even as the Centre on Friday sought a detailed report from the Delhi government on deaths due to it and dengue, including medical history of the deceased. Gulab Chand Gupta (70), from Lajpat Nagar in south Delhi, died on September 12, a family member said. "He was admitted at Pushpawati Singhania Research Institute in south Delhi on September 7 and succumbed to chikungunya complications on September 12. His medical report says he died of acute febrile illness with septic shock and multi-organ failure," his son-in-law Santosh Mangal said. This season, 12 deaths have been reported till Thursday, including five each at Apollo Hospital and Sir Ganga Ram Hospital, while one death each at AIIMS and Hindu Rao Hospital. Chikungunya and dengue have claimed at least 31 lives and affected nearly 3,000 people in Delhi. 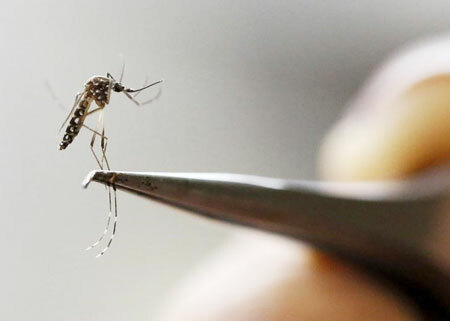 18 people have died of dengue which has affected over 1,100 people in the city. "We have asked for a detailed report on the deaths due to the vector-borne diseases in the city. Also, we have sought medical history of the deceased, whether they had any co-morbid conditions," Union Health Minister J P Nadda said on the sidelines of a symposium in Delhi on liver transplant. "Many of the patients diagnosed in Delhi are coming from the NCR region and so fever clinics could also be set up there. We are resolving this matter with Haryana and other governments in the NCR," he said. Earlier in the day, Nadda met Delhi Health Minister Satyendra Jain to discuss the situation and assured all support to the city government, while asserting that no patient is being turned away without treatment and there is no shortage of doctors and drugs. "It was discussed that reporting of all the vector-borne diseases should be done on a priority basis from every hospital, nursing home, laboratory to the government agencies concerned without failure which is imperative for monitoring the situation and for appropriate preventive measures including fogging of the region concerned," a Delhi government statement said. The government has also asked private hospitals not to release data on vector-borne disease cases "directly to the press", which may "create panic". In the wake of chikungunya outbreak, the Delhi government has initiated the process for declaring chikungunya as a notifiable and dangerous disease. Doctors say that chikungunya is not a life-threatening disease in general, but in rare cases leads to complications that prove fatal, especially in children and old persons.